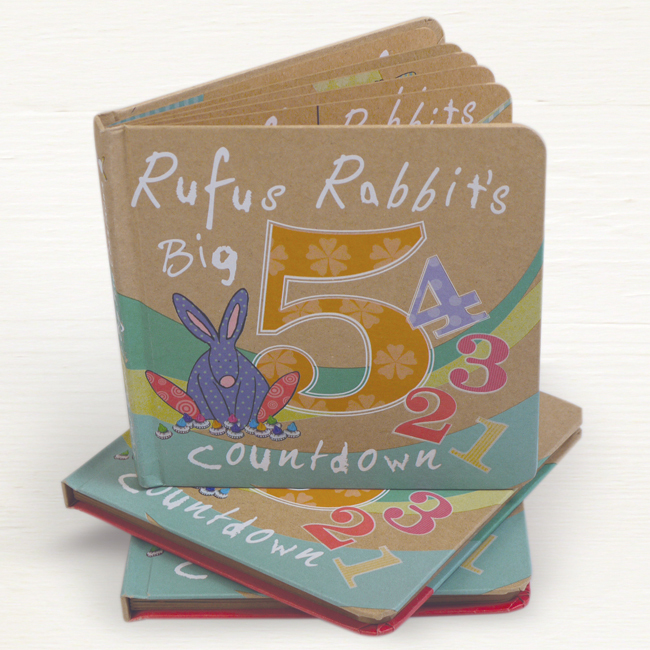 Big Five Countdown board book by Rufus Rabbit. A lovely read for little ones'. 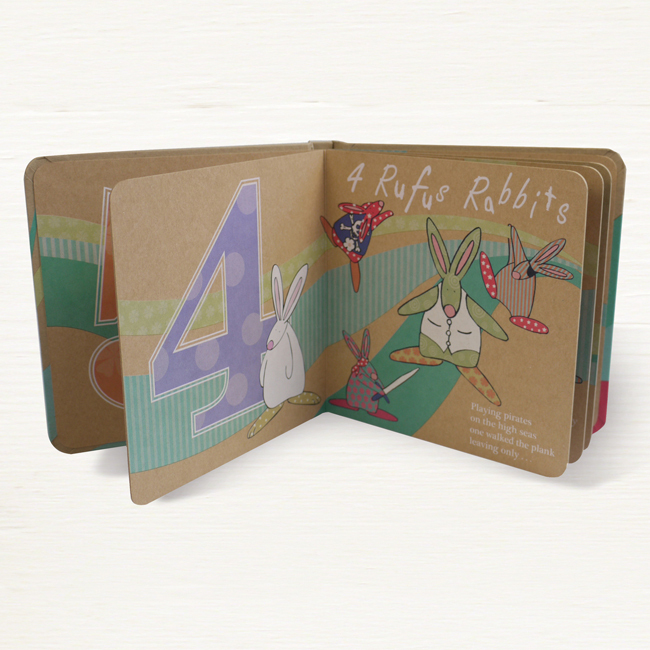 Rufus Rabbit’s Big Five Countdown board book is a fun rhythmical read helping little ones’ count down from 5 to 1. It ends as all good baby books should, ready for bed and hopefully off to the land of nod. 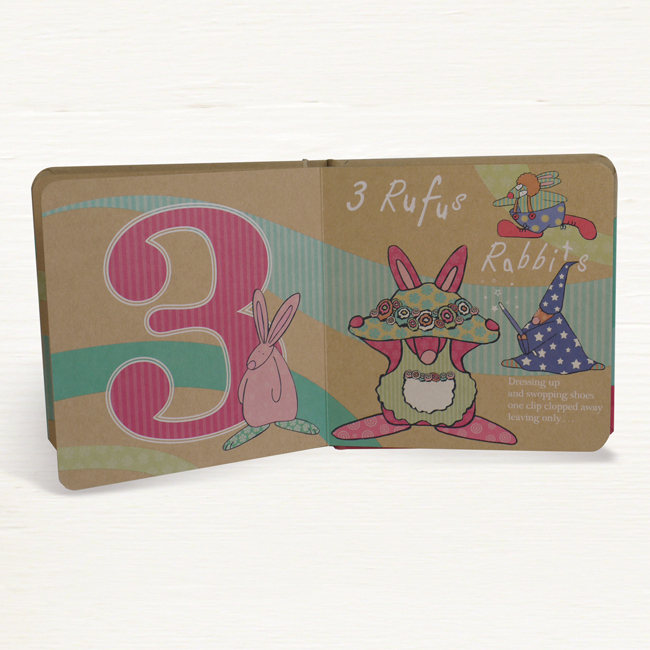 Printed on craft board, it gives the colours a lovely soft chalky look and shows Rufus having fun. 1 Rufus Rabbit Exhausted from all that play, snuggled up on Mummy’s lap to recharge for another busy day!